Do you want to be treated by your doctor as more than a brain walking on two legs? My evaluations are comprehensive and thorough; personalized to your specific needs, not just as a patient, but as a person. I provide you with detailed feedback about your performance and take the time to address your questions and concerns. My goal is to have you leave my office, not only with answers, but with hope. Dr. Castro is one of the few bilingual Spanish/English neuropsychologist in the Midwest. She is able to provide assessment and consultation services in Spanish without the need of an interpreter. She has expertise in cultural neuropsychology, particularly in the evaluation of bilinguals and Hispanics/Latinos. 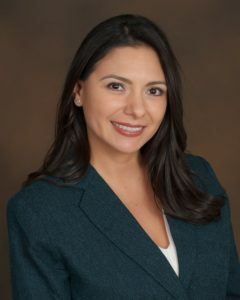 Dr. Castro has experience working with international patients from the Caribbean, South America, Mexico, Central America, Africa, Asia, and Europe.